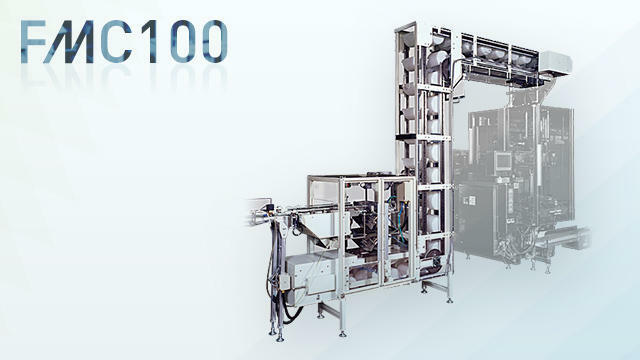 Of linear equation counting counter apparatus FMC100 | Other | FUJI MACHINERY CO.,LTD. Equipment for linear counting. Divides products that come out at a fixed pace by set numbers, inserts them into the timing shutter, and sends them to the following process. Counts up to 350 per min.